On Saturday night, I was halfway through reading Salmon Fishing in the Yemen by Paul Torday on my e-reader. I'd seen the movie, with Ewan McGregor & Emily Blunt, a couple of weeks ago & thought I'd like to read the book as it's meant to be a little more hard-edged & satirical than the movie, lovely though that was. So, knowing the reservation queue at work was quite long, I bought an e-copy. I turned a page & suddenly the e-reader stopped, the little turning arrows appeared & that was it. I couldn't switch it off, get back to Home, nothing. I reset it & got back to Home but now I can't access any of my purchased e-books. When I tap on them, I just get a message, ERROR Protected by Digital Rights Management. But I've bought them, I've paid for them, I haven't pinched or pirated them, they belong to me! I can access my free e-books, no problem. The User Guide's Troubleshooting section doesn't mention this problem. The Sony Australia website was no help. I tried to send a comment but it wouldn't go. I was told I'd used unauthorised symbols although I'd only used the symbols they approved of like. , ! ? I took out all the punctuation but it still wouldn't allow me to send my question. I've found a Sony Reader Forum so I've posted my question there. Fingers crossed. I've also had a problem with the Sony Reader software on my PC. It won't Sync anymore & Windows just shuts it down. It looks like a Windows problem but Windows doesn't have a solution & I think I'll have to do something called a clean boot &/or uninstall & reinstall Sony Reader which I'm not confident enough to do so I have to wait until my personal IT guru, P, can come over to help me. Fortunately my e-reader has WiFi & I discovered that I could download e-books from some sites directly on to the reader that way without going through Sony Reader. But at the moment, I'm a bit off my e-reader. Oh, & my printer is also on the blink. Technology is a wonderful thing - when it works. So, yesterday afternoon, after I'd spent some time trying to sort this out, I decided to give up on the e-world for a while & sat down with Katie Fforde's new book, Recipe for Love. Sometimes, old technology (& a good romance) is bliss. Thomas Carew (picture from here) was a diplomat & gentleman of the Court of Charles I. Influenced by Jonson & Donne, his poetry reflects the idle life of the courtier. This poem, Mediocrity in Love Rejected, seems to bear out that interpretation of his work. The speaker sounds very bored, longing for sensation - whether ecstasy or agony, I don't think he'd much mind - as long as he could feel something. Give me more love, or more disdain. It's Muriel Spark Reading Week & I've chosen something a little different. As well as the novels she's best known for, Muriel Spark also wrote several biographies, including this book on Emily Brontё. Actually, she co-wrote it with Derek Stanford. Spark wrote on Emily's life & Stanford on the work. 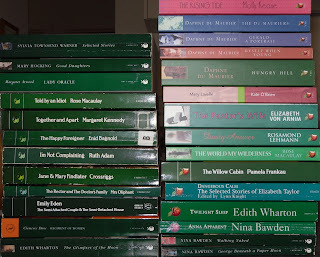 Interestingly, as most of Spark's novels are around 100pp long, her biography of Emily is also just under 100pp. It seems to have been the natural length of her work, the length she was comfortable with. The method employed in the following pages is of analysis rather than synthesis, through which it is hoped to promote some fresh thoughts on the subject. The following essay is planned to reconstruct Emily Brontё's life story exclusively from documents concurrent with the events. The posthumous records will be found to add little in the way of information, although, of course, they enrich any Brontё narrative. So, Spark will only use the letters, diary papers & recollections that were available during Emily's lifetime. I found this a fascinating way to proceed. So much that is known of Emily was recollected or written down after her death, often once her genius as a poet & novelist was known. Using only the material produced during her lifetime, Spark gives us a pared down version of the Brontё story that allows us to hear as much of Emily's own voice as possible. Charlotte Brontё has been the main source for information about her sister. From the morning when Branwell appeared in his sisters's room with a box of wooden soldiers & they each chose one, "Emily's was a grave-looking fellow, and we called him 'Gravey'." 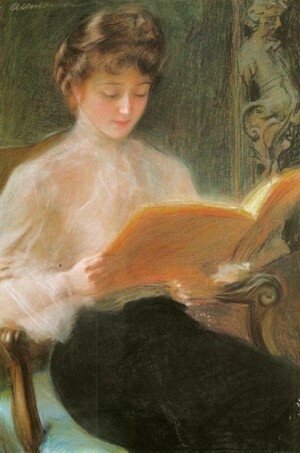 to weave stories around; to her nervous inquiries to friends as to how Emily behaved in company. Charlotte took the lead in everything from the decision for herself & Emily to go to Brussels to study to the publication of their poetry & novels. Charlotte's poignant letters to W S Williams (reader for her publisher, George Smith) chart the inexorable course of Emily's last illness, "She is a real stoic in illness: she neither seeks nor will accept sympathy. 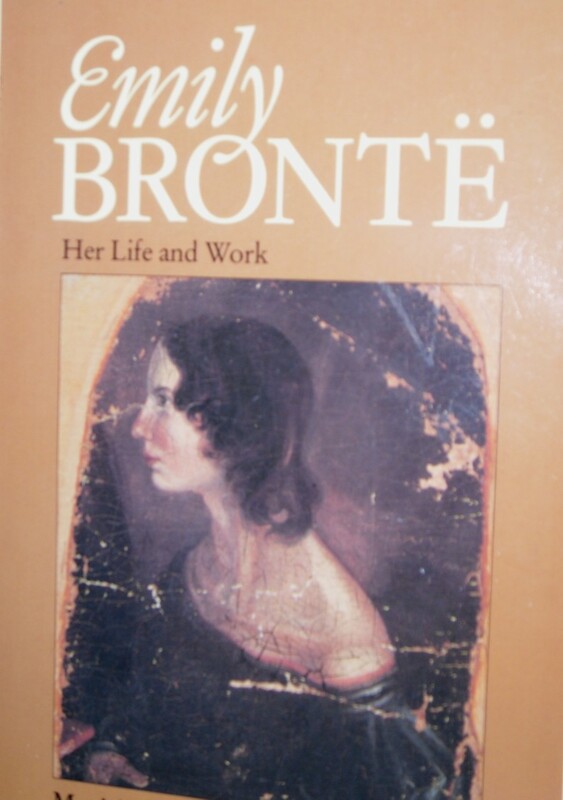 To put any questions, to offer any aid, is to annoy...You must look on and see her do what she is obviously unfit to do, and not dare say a word..." Charlotte wrote the Prefaces & Biographical Notices that set the tone for both Emily & Anne's reputations. I am quite contented for myself: not as idle as formerly, altogether as hearty, and having learnt to make the most of the present and long for the future with the fidgetiness that I cannot do all I wish; seldom or ever troubled with nothing to do, and merely desiring that everybody could be as comfortable as myself and as undesponding, and then we should have a very tolerable world of it... I have plenty of work on hands, and writing, and am altogether full of business. Muriel Spark sees Emily as the happiest of the sisters until the last period of her life. She had a real vision of herself as a writer & was able to create a life for herself at Haworth that allowed her time to write. Spark believes Emily was a natural celibate. She needed no relationships outside her own family & these completely contented her. She was single-minded about her work & allowed herself no distractions. Her idea of love was a universalised one which may have been unrealistic but which led to the universal declarations of love in Wuthering Heights. Catherine's cry, "I am Heathcliff" is an example of this. Spark sees Emily Brontё as a writer who fulfilled her promise as far as she could. Maybe her mind became unbalanced in her last months &, when she realised that she could not control the tuberculosis that was killing her, she gave in to it. I found this a refreshing way to look at Emily Brontё's life. Muriel Spark brings a novelist's imagination to trying to understand a woman whose posthumous reputation has overtaken the real life she lived. Sometimes a mention of an unfamiliar poet can uncover a tragic history. Thomas Lovell Beddoes (picture from here) was unknown to me before I came across this pretty poem in my anthology. 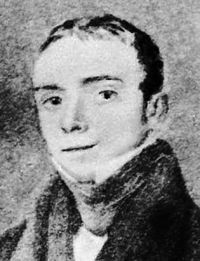 Looking for some more information on his life led me to the Thomas Lovell Beddoes Society website where I discovered a little more about his unfulfilled life & tragic end. He was a nephew of the Irish novelist Maria Edgeworth & seems to have spent much of his short life wandering through Europe. He studied medicine & also wrote poetry & plays. His themes are love, death & the macabre. His death was shocking. 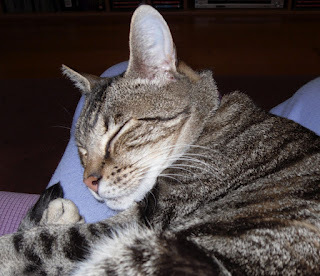 He fell ill, supposedly from an infection caught from a cadaver he was dissecting. He tried to commit suicide as his health declined by severing an artery in his leg. The wound developed gangrene & the leg was amputated. Eventually he poisoned himself & died in 1849 at the age of 45. His poetry was praised by many, including Lytton Strachey who called him "the last Elizabethan" as he was part of a movement to bring back Elizabethan drama. This poem, with its gentle tone & imagery from nature, seems far removed from the more macabre aspects of Beddoes's life & work. I love reading other people's letters. A long correspondence between two people is even better. If one of the correspondents is Queen Victoria, it's irresistible. This sumptuous volume was the main reason that I renewed my Folio Society membership. I wish I could show you some of the plates, they are so lovely & include several photos of the Royal family I hadn't seen before. Unfortunately, I couldn't take decent photos of them as the paper is quite shiny. So, you'll just have to take my word for it. The treasure of this book isn't in the plates anyway, it's in the words. These letters are a selection of the enormous correspondence between Queen Victoria & her eldest daughter, Vicky. Vicky married Frederick (Fritz) of Prussia in 1858 when she was only 17. The letters begin immediately after the ceremony & don't stop until just before Queen Victoria's death in 1901. Vicky was her parents' pride & joy. Their eldest child, her father, Prince Albert's, favourite, Vicky was intelligent, clever & beautiful. She was everything that the Prince of Wales, Bertie, was not. Bertie was always compared with Vicky & always to his disadvantage. Surprisingly, Vicky & Bertie had a loving relationship & remained friends, apart from a few political differences, for the rest of their lives. Vicky & Fritz's relationship was a true love match which was becoming less of a rarity in royal circles as the 19th century wore on. Both liberals & patriotic Prussians, they were at odds with Fritz's father, the King of Prussia (later Emperor of a united Germany) & his chief minister, the militaristic, reactionary Otto von Bismarck. Prussian society was suspicious of Vicky as an Englishwoman & always suspected her of influencing her husband in the interests of England. Vicky & Fritz had a long, frustrating wait for the throne as Fritz's father lived until he was 90. Tragically, Fritz's reign lasted only three months as he was suffering from throat cancer. All his liberal plans for his country ended in nothing. He was succeeded by his eldest son, William II, best known for his role in WWI. Wilhelm had become estranged from his parents & was completely under Bismarck's influence so Germany's road to militarism & an arms race with Great Britain was set. The relationship between Vicky & her son is full of misunderstandings & thwarted love. William (Willy) had a damaged arm, the result of his difficult birth, & Vicky's attempts to find a cure for his disability fill her letters to her mother during his childhood. Her love for her son is obvious as she & the doctors try treatments from sea bathing to physical manipulation of the limb. Unfortunately as Willy grew older, he came under the influence of his grandfather & Bismarck & grew to despise his father's liberalism as soft & blame his mother for his disability. Queen Victoria's letters are a fascinating mixture of royal dignity, neediness & common sense. When Vicky first goes to Prussia, her mother bombards her with letters demanding to know everything she wears every day & wants to know the arrangement of her rooms, her health etc in a mixture of imploring & reproach. Pray do answer my questions, my dearest child, else you will be as bad as Bertie used to be, and it keeps me in such a fidget. Queen Victoria soon had Vicky on the lookout for a suitable wife for Bertie. Vicky had to inspect every Protestant princess in Germany & her comments on these poor girls are often very sharp but also shrewd. She knew that her brother would never be happy with a plain wife & she worked very hard to overcome her mother's objections to beautiful Alexandra of Denmark whose family Queen Victoria did not approve of. We are anxious to know as much about Princess Elizabeth of Wied and Anna of Hesse as possible, I think future choice of Bertie must lie between them... You know, dearest, we must feel very anxious about this choice and the beauty of Denmark is much against our wishes. I do wish somebody would go and marry her off - at once. If Bertie could see and like one of the others first then I am sure we should be safe. Bertie did marry Alexandra & Queen Victoria grew to love her dearly although she wasn't able to restrain Bertie's love of frivolous society. I've barely scratched the surface of this fascinating book. I could quote passages endlessly about all sorts of subjects. I haven't even mentioned politics, although I must admit I find all the family relationships much more interesting. There are births, deaths, marriages, scandals & Victoria & Vicky have opinions on them all. Victoria was very supportive of Vicky through all the stresses of her life in Germany, the death of her beloved Fritz & her growing estrangement from Willy. Vicky is patient with her mother's eternal complaints about her poor health & sympathetic about the Queen's often strained relations with her Governments & her heir. Vicky is homesick for Osborne & Balmoral. They grieve together over the deaths of the Prince Consort & other close family & friends. I must just quote one more letter from Queen Victoria. 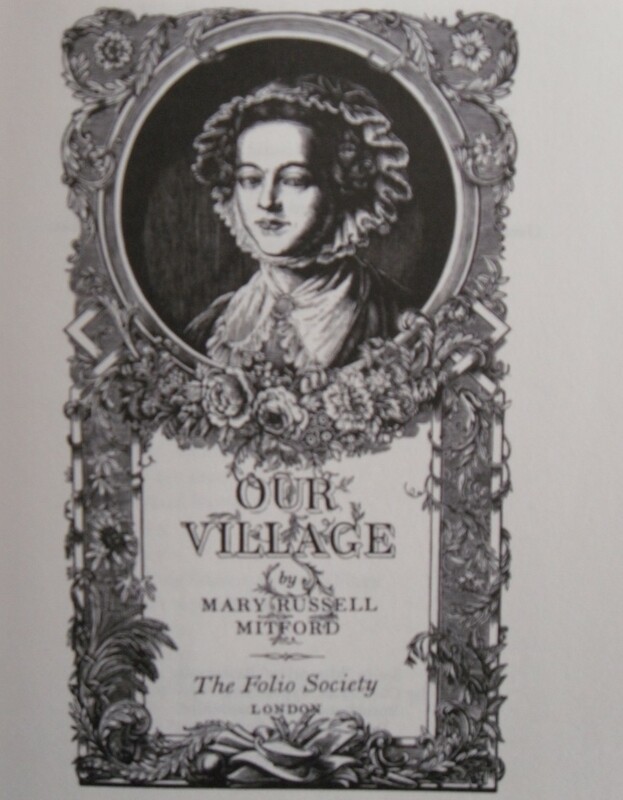 She had published a volume of reminiscences, Leaves from the Journal of Our Life in the Highlands from 1848-1861, and was very proud of it. That mixture of hurt pride & neediness from the Queen & soothing love from Vicky is very typical of the letters. To the end of their lives, they wrote regularly & always with great affection & love. The ending of Victoria's last letter to her daughter, just three weeks before she died is moving in its simplicity, "I must, I fear, end for today to save the post. God bless you, darling child." Queen Victoria died on January 22, 1901 & Vicky, already suffering from cancer, died on August 5 of the same year. 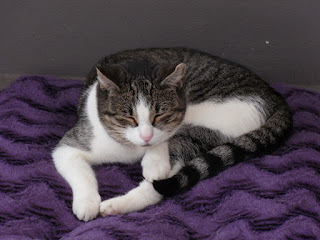 The Animal Aid shelter where I adopted Lucky & Phoebe are having a competition to choose the animals that will feature in their 2013 calendar. These are the photos I chose to enter out of the hundreds I've taken of the girls since they came to live with me last August. I think their personalities come through in these pictures. Phoebe is very much at home, relaxed & feeling entitled to every comfort. Lucky is a little more cautious but she enjoys some company & a comfortable spot to soak up the sun. If you would like to vote for the girls, you can do this here. You'll need to set up an account & make a donation (via PayPal) of at least $5 to vote. Every dollar equals a vote so your $5 donation gives you 5 votes. The 13 animals with the most votes will be featured in next year's calendar. The animal with the most votes will be on the cover. Animal Aid receives no government funding so all their work is funded by volunteers & donations. It's a very worthwhile cause as there are so many unwanted animals abandoned or relinquished every year & Animal Aid do their best to care for these animals & find them new homes. You can read more about their work on the website here. I hope you'll consider voting for the girls & supporting Animal Aid at the same time. My holidays have been lovely so far. Apart from a very cold day of rain & hail on Easter Monday (perfect reading weather), the weather has been unusually mild & sunny (which is also perfect reading weather). You probably won't be surprised to learn that some books have made their way into the house. 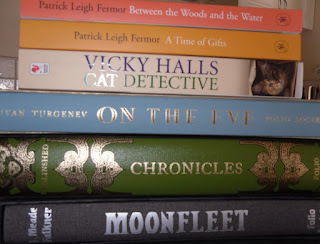 Above are a few books I bought from my favourite remainders booksellers, Clouston & Hall in Canberra. I've been buying from their mail order catalogues (& now their website) for nearly 30 years. The latest arrivals are two books by Patrick Leigh Fermor. A Time of Gifts & Between the Woods & the Water have been recommended by many people over the years so this was a perfect chance to buy them. The other book, Cat Detective by Vicky Halls, needs no explanation. I need all the help I can get! 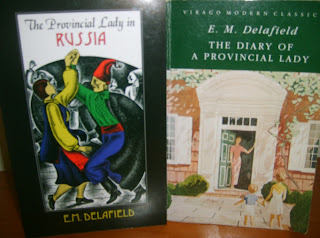 The other books are from the Folio Society. I've joined up for another year. I always wait until they offer the books at half price & the time had come. 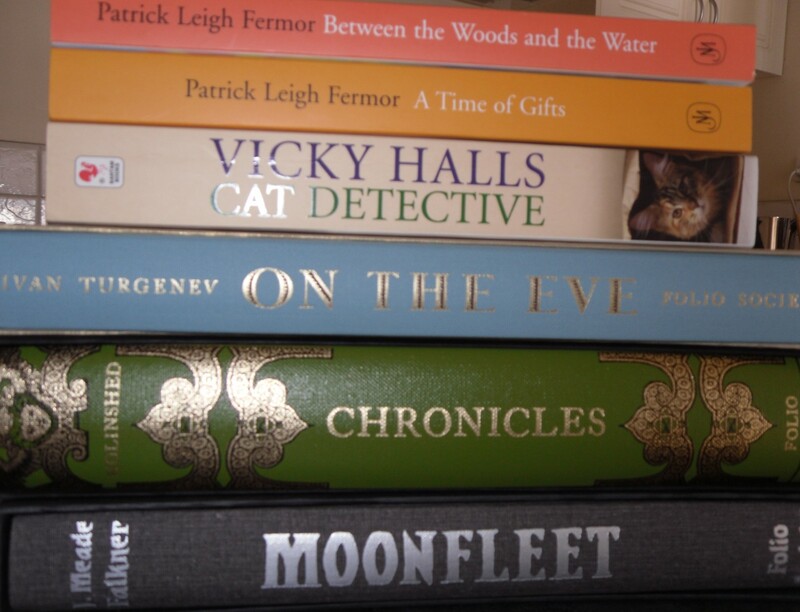 So, you can see I've bought lovely editions of On The Eve by Turgenev, Moonfleet by L Meade Falkner & Holinshed's Chronicles. I've always wanted to read the Chronicles as they're the basis for many of Shakespeare's plays & this edition has many of the original woodcuts & commentary by Michael Wood, one of my favourite historians. However, the most exciting of my Folio purchases (& the main reason I renewed my membership) is this one. Letters to Vicky, the correspondence between Queen Victoria & her daughter, Vicky, the Empress of Germany. This is the most gorgeously produced book I've seen in a very long time. 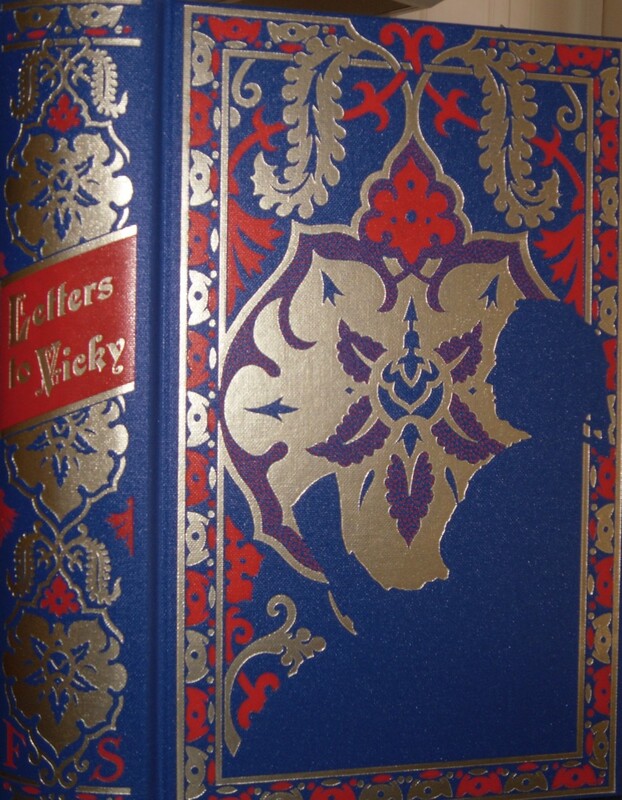 Folio Society books always have lovely paper & good bindings but this one is just glorious. The photos are also beautiful, including several of the Royal family that I hadn't seen before. The letters have been selected from the six volume edition published some time ago. I started reading it last night & I'm loving it. Vicky married Fritz, a Prince of Germany, at 17 & mother & daughter wrote thousands of letters to each other over the next 45 years. Even in these first two years of the correspondence that I read last night, Queen Victoria has talked about what she called the "shadow side" of marriage - pregnancy & childbirth. Vicky has complained about her new German family & made some very sharp, brutally honest comments about various German princesses being considered as brides for Bertie, the Prince of Wales. It's just luscious. The only problem is that the book is very heavy so I need something lighter in weight to pick up when Lucky decides it's time to sit on my lap or when my neck starts aching. I also visited one of my favourite secondhand bookshops last week. I had gone to Camberwell to look for a dress to wear at a wedding I'm going to in June. I don't enjoy shopping for clothes so I promised myself a look in Sainsbury's after I'd been to three clothes shops. I didn't find an outfit but I did find two treasures. 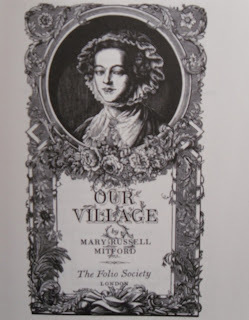 This lovely Folio Society edition of Mary Russell Mitford's Our Village with woodcuts by Joan Hassall. 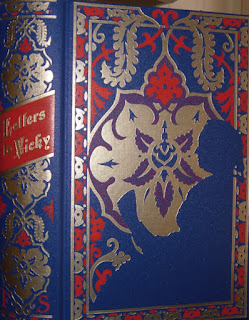 It's one of the Folio Society designs I especially like. 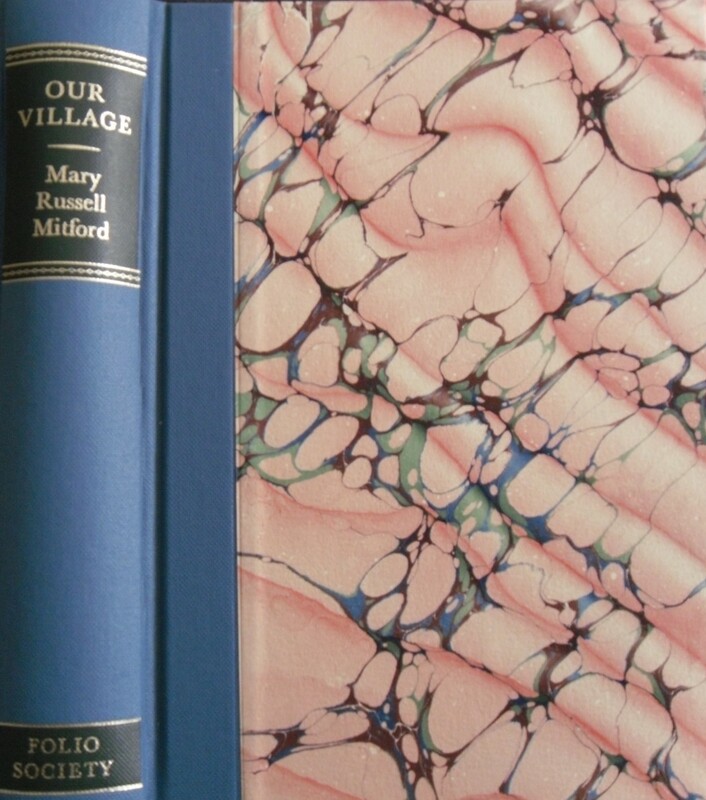 Small & square with faux-marbled covers. I also bought a Penguin Deluxe edition of Edith Wharton's Ethan Frome. This was really silly as I already have two other copies of Ethan but I love this series & couldn't resist. It was in perfect condition & half the price of the copy I saw in another bookshop the same day. I've also discovered some news of forthcoming publications that I'm very excited about. This enthusiastic review of Illyrian Spring by Ann Bridge at Book Snob made me wish again that I owned a copy of this book which has been recommended by every blogger I know. So, I was thrilled to discover at the end of the review that Daunt Books are reprinting Illyrian Spring next month. I've ordered it already, I couldn't resist. Then, Dani at A Work in Progress mentioned forthcoming reprints of Helen Macinnes's spy thrillers. I haven't read any of her books but Dani likes them & that's good enough for me. 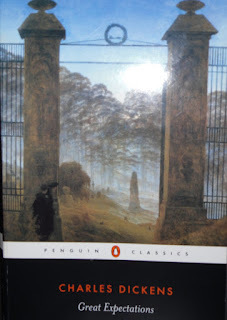 I know that Elizabeth Von Arnim is hardly a new name to most of you who visit this blog but Penguin have just reprinted Enchanted April as a Penguin Modern Classic. The rest of the world does catch up to us eventually! I wonder if they have plans for any more Von Arnim reprints? I've also almost finished cataloguing my tbr shelves on to Library Thing which has become just as addictive as I feared it would. I have almost 1000 books on LT although not all of them are from the tbr shelves. All my Persephones are on there but most of that 1000 are tbr. It's a sobering thought & I've made a holiday resolution to stop buying books for a while. Apart from that preorder of Illyrian Spring, obviously. I wonder how long I'll last? We're all in holiday mode here. 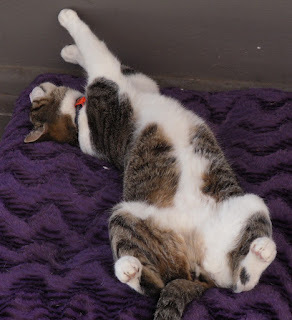 I know it's not Phoebe's most attractive angle but she looks completely relaxed, doesn't she? This is a more dignified shot. 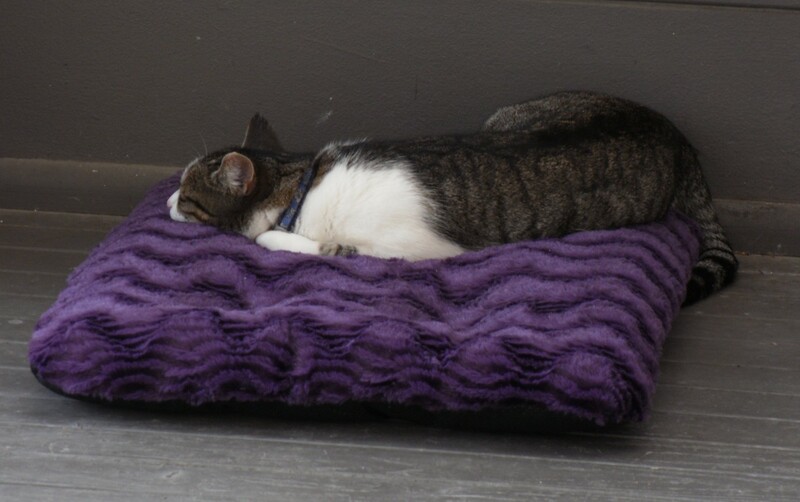 She does love that purple velvet bed. After reading the obituaries & blog posts about the death of Miss Read last week, I just had to read one of her books. I realised that I'd listened to Winter in Thrush Green on audio not long ago as the plot came back to me with a rush but it didn't matter. I enjoyed sinking into the atmosphere of autumn & winter in a Cotswold village & meeting the villagers of Thrush Green again. There's great excitement when the corner house is finally sold - & to an eligible single man or maybe a widower or maybe (worst of all) his wife is arriving as soon as the house is put to rights. Harold Shoosmith, who happily turns out to be a bachelor, has lived abroad for most of his life & speculation runs riot as to whether he's been in the Army, Navy or Air Force & whether he spent his time in Africa or Asia. It turns out that Harold was drawn to Thrush Green after a lifetime working for a pharmaceutical company in Africa because of his admiration for the missionary, Nathaniel Patten, who was born in the village. 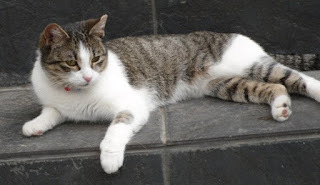 Harold soon becomes involved in local activities & is in great demand as a guest at parties such as that given for Halloween by Dimity Dean & Ella Bembridge, friends who have lived together for many years. The vicar, Charles Hemstock, soon becomes close friends with Harold. Charles envies his cosy domestic arrangements as the vicarage has been a cold, dismal place since Charles's wife died. Charles is a kind, thoughtful man, much loved by his parishioners but sadly unable to cope with his slatternly daily help so his home is comfortless & lonely. Charles & Harold soon become involved in organising a celebration for the centenary of Nathaniel Patten's birth & a committee is formed to organise the commissioning of a statue of the great man. The village school is run by Miss Watson with Miss Fogerty as her assistant. When Miss Watson is attacked in her home by a thief, it is shy, fluttery Miss Fogarty who takes charge & shows her worth to her formidable headmistress. It seems possible that the same man responsible for the theft of Miss Watson's few pieces of jewellery could also have been stealing Dotty Harmer's eggs but, apart from Dotty's idea of setting a man trap to catch the thief (if she can retrieve the trap from the county museum that her father donated it to), there are few clues to his identity. That doesn't stop grumpy sexton, Albert Piggott, from playing sleuth in the intervals he can spare from tidying the graveyard & sipping a pint at the Two Pheasants. Albert's slovenly ways are about to get a shock from his old schoolfriend, Nelly Tilling. Now a widow, Nelly, plump & energetic, has set her sights on Albert, who needs taking in hand since his daughter, Molly, married Ben Curdle & moved on with him & his family's travelling fair. Love is in the air as bossy Ella Bembridge realises that her cosy life with Dimity in their cottage could be about to change if she's right about the growing attraction between her friend & Harold Shoosmith. 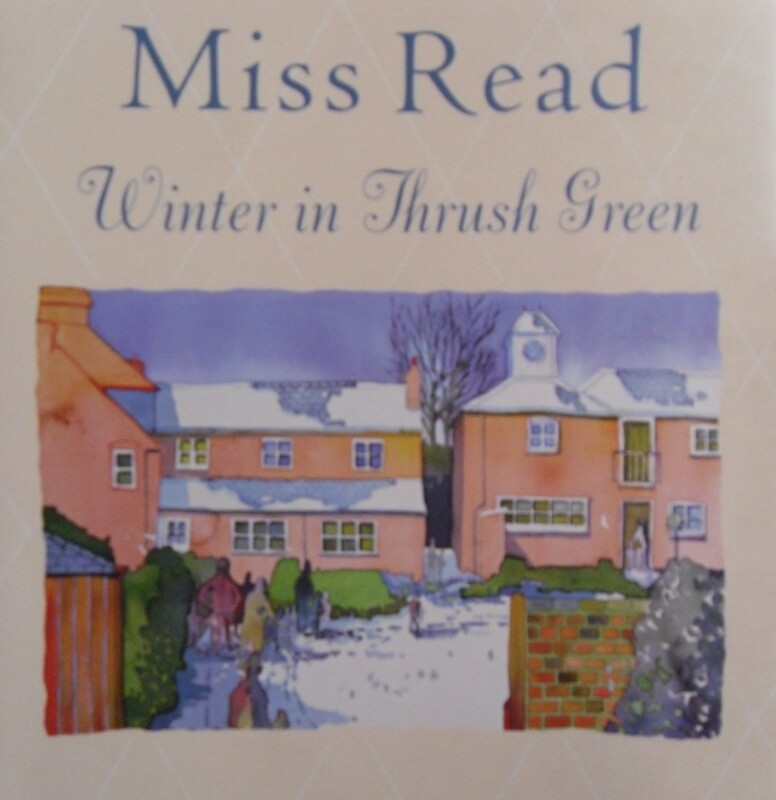 Winter in Thrush Green is another cosy, comforting instalment in the lives of the villagers of Thrush Green. I love the way that Miss Read describes the passing of the seasons, the coming of Christmas & the hazards of a hard winter. The delights of early spring end the book with the unveiling of the statue of Nathaniel Patten. Life isn't all ease & happiness. The attack on Miss Watson & Dotty Harmer's serious illness when she's snowed in to her remote house, are good examples of how Miss Read doesn't sugarcoat the realities of village life. Not everyone in the village is kind or honest & the intimate knowledge everyone has of everyone else's business can be a curse as much as a blessing. This lack of sentimentality as well as the beautiful descriptions of nature & the endearing characters she creates are the reasons why I love to read her books. Another reason why I love Miss Read is her love of cats. 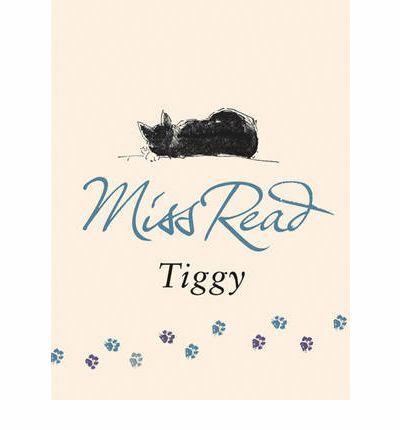 I've also just read Tiggy, a short memoir about one cat that crept into Miss Read's affections. Tiggy is called a memoir & it's a true story about one of Dora Saint's cats rather than the fictional story of one of Miss Read's cats. I admit I was confused at first because Miss Read's cat in the Fairacre book is called Tibby. This is a very short book, only 40pp in my e-book version but it's charming. The author swears off owning a cat because she's lost several cats to the passing traffic & feels it's not right to put any more cats in danger. Her mind is changed by the arrival of a little black & white cat, starving & with five kittens to feed. At first, Miss Read thinks that a hedgehog has been eating the bread & milk she's left out at night but she realises that it's a cat. She calls her Mrs Tiggywinkle or Tiggy after the hedgehog in Beatrix Potter's story. Tiggy's determination to keep her family safe & alive impresses Miss Read so much that she can't resist taking the family in. The story of how she gradually wins Tiggy's affection & trust & then sets about taming the kittens & finding them homes would appeal to any cat lover. This is a beautiful poem that was used as the epitaph on the tomb of Sir William Dyer at Colmworth, Bedfordshire in 1641. 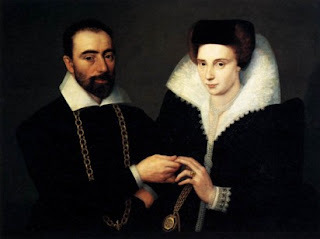 This isn't a portrait of the Dyers, I wasn't able to find one, but, as it's an unknown 17th century couple, & I think it's a lovely portrait, here it is. There are pictures of the full epitaph (this is only the second verse but it's the one most often reprinted) & the Dyer's tomb here and here. I don't know how long Lady Catherine had to wait to join her husband but, as they had seven children, and as the children are depicted as adults on the tomb, she may not have had very long to wait. Sat up, or gone to bed together? Shall soon repose her by thy slumbering side. Mine eyes wax heavy and the day grows old. The dew falls thick, my belov'd grows cold. Terri sent me a copy of her novel, Fatal Decision, so I've been able to decide whether she has been able to accomplish this. I think Terri Arthur has definitely succeeded in presenting Edith Cavell as a woman rather than the saint of legend. Maybe only fiction would have allowed this as Arthur has been able to use her imagination to recreate the character of a woman whose terrible death has overshadowed everything else about her. The facts of her life are well-known. Edith Cavell was a nursing matron in charge of a training school for nurses in Brussels during WWI when Belgium was occupied by the German Army. She became involved in a resistance group that helped Allied soldiers who had become trapped in Belgium to escape to England, Holland or France. She was arrested, put on trial as a spy, convicted, sentenced to death & shot at dawn on October 12th 1915. The novel begins with Edith applying to nurse at the London Hospital. Here she is influenced by Eva Luckes, the formidable matron & disciple of Florence Nightingale. Although Luckes is very hard on her students, Edith is determined to succeed. Edith makes friends although she is seen by some as stiff & humourless. She volunteers to help in a typhoid epidemic & in this episode she demonstrates her determination to overcome her weaknesses. Edith's overwhelming concern for the care of her patients is paramount. All her work can't impress Matron Luckes, however, who gives her a lacklustre assessment when she finishes her studies. Edith works in hospitals in a variety of roles until the opportunity to go to Brussels & start a school for nurses is offered to her by a former pupil from her time as a governess in Europe. The nursing school has to overcome many hurdles, including the objections of the Catholic Church, whose nuns had been the willing but unschooled nurses up to this time. Edith & Dr Eugene Depage work to overcome prejudice against an English Protestant teaching nursing to women who had always seen it as a demeaning occupation. By the time WWI breaks out, the school & Edith have a reputation for excellence. Edith & her nurses begin work under the Red Cross, helping wounded soldiers on both sides of the conflict. Their hospital & nursing home is in Ixelles, south of Brussels, & in the direct path of the German invasion. When the Germans occupy Belgium, a military administration is set up to govern the civilian population. The fatal decision that Edith makes is to help wounded Allied soldiers trying to escape occupied Belgium & rejoin the Allies in France. With her strong religious & moral convictions, Edith was unlikely to refuse a plea for help. The first two soldiers who arrive at the clinic lead to many more. Edith admitted to helping 200 soldiers escape at her trial but the true number is probably closer to 1000. Edith became part of an underground movement that brought the men in from the surrounding forests where they were hiding, sent them to Edith for medical aid, then sent them on with guides to take them to the border complete with disguises & false identity papers. Edith was aware of the danger of the work she was doing & only involved a few trusted members of her staff. However, she never considered stopping her work, even when she was aware that the clinis was being watched & the authorities were closing in. While one Allied soldier needed her help, she would not refuse it. The most important person in Edith's life was Elizabeth Wilkins, a nurse who became her best friend & deputy in everything. The portrait of their close friendship is especially moving. The novel is bookended with scenes of Elizabeth in London & Norwich at remembrance services for Edith. The scenes with Elizabeth are a very effective way of humanising Edith as are the scenes of Edith with her beloved dog, Jack. 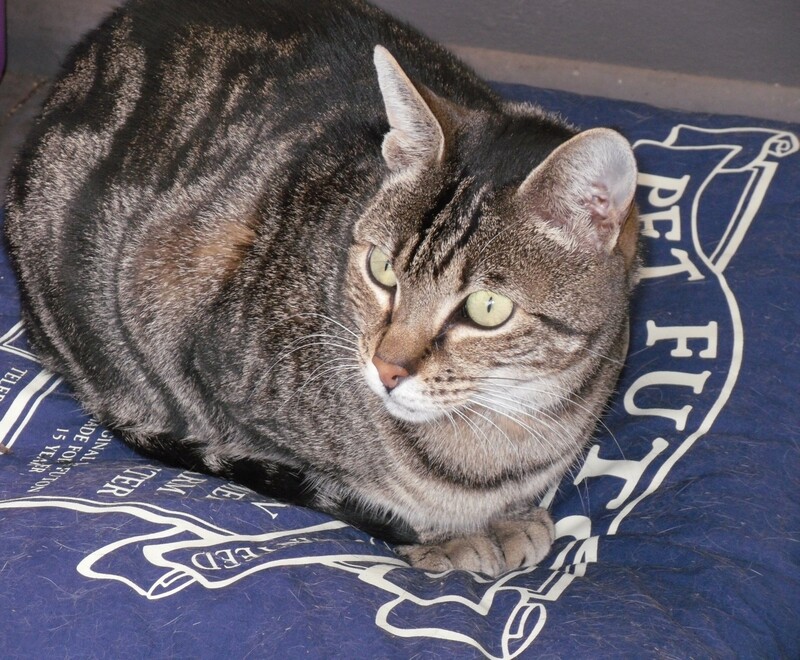 Jack was a stray that Edith took in despite all objections & he proved loyal to the end. The underground movement was eventually infiltrated & betrayed. Edith's interrogation & trial were a disgrace. She did make some crucial admissions that prejudiced her case but her commitment to truth may have led her to make some naive mistakes. She was forced to sign a confession written in German, which she didn't understand. The defence counsel assigned to her wasn't permitted to visit her or know the charges against her. All her fellow accused were treated similarly but the occupying forces were determined to make an example of this English nurse who dared to defy their rule & Edith, along with several others, were condemned to death. Edith’s family had heard of her arrest & tried to discover more information through the Foreign Office. The American Legation was their only source of news as the US was neutral & still had a diplomatic presence in Brussels. The American ambassador, Brand Whitlock, did what he could but he was effectively blocked by the military government & stricken with illness at a crucial time. The judges were Prussian military officers & they were determined to make an example of Edith. It was the worst decision the Germans made during WWI. The execution of an Englishwoman, a nurse, brought condemnation from around the world. Fatal Decision is an absorbing novel. The large cast of characters, from the other nurses & staff at the clinic to the escaping soldiers to the German authorities, are all beautifully portrayed. The author is a nurse & the medical detail is obviously written with experience & knowledge. Arthur has a real empathy with Edith Cavell & she's used what letters & documents survive to inform her portrait of a brave woman who lived & died for her convictions. Dora Saint, who wrote as Miss Read, has died at the age of 98. 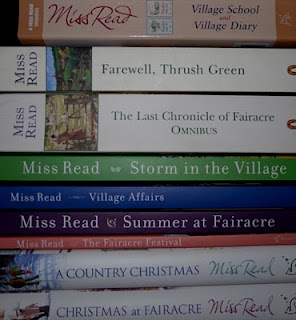 Miss Read is one of my favourite writers of comfort reading. 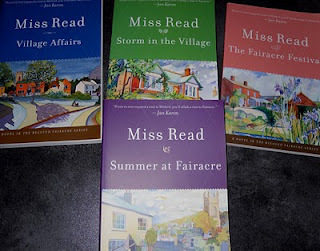 Her books about life in Fairacre & Thrush Green are familiar, full of humour & interest but never sentimental or twee. I've reviewed some of her books here & here but fortunately I have many more on the tbr shelves so I'm not going to run out any time soon. There's a lovely obituary here. My favourite quote is from H F Ellis, the literary editor of Punch (I didn't know Miss Read had written for Punch) who called her his favourite contributor. "She had no arrogance at all and didn't feel her work was sacrosanct, and she never minded revising it. In a way she is like Jane Austen. She writes about what she knows and never goes beyond it." Dora Saint seems to have had a happy, fulfilled life with a devoted following of readers, mostly library users which seems very appropriate to me. Her books never made her a fortune but provided a steady income that allowed for a few luxuries. I can't imagine the author of the Fairacre books as a jetsetting glamourous author in the style of Jackie Collins. It seems right that her life was quiet, steady & full of good things, just like her books. Bella Renfrew loves chocolate. She also loves her husband, Tom, her children, Oliver & Madeleine & her job as a features writer on a major daily newspaper. But, chocolate occupies Bella's thoughts most of the time. Her handbag is crammed with emergency supplies, her desk drawer has more chocolate wrappers than pens. Chocolate is a comforter, a consoler & a refuge from all the issues Bella is avoiding in her life. Returning to work after Oliver's birth had been tough. Bella loves her career but journalism is a cutthroat world & she yearns to be at home with her baby. Her best friends Louise & Pete are glad to see her but the boss from Hell, Denise, is not so welcoming. Denise sends Bella on ridiculous, time-wasting assignments with no thought for the routines of children & nannies, obviously hoping that Bella will give up her career & become a full-time mother. When Bella falls pregnant a second time, Denise is incredulous & very disapproving. On her return from her second maternity leave, Bella finds that her desk has been taken over by Denise's daughter, Gemma, & her own workspace is crammed in next to the photocopier. Determined to regain her spot in the office pecking order, Bella scores an interview with Jane Champion, the new Home Secretary. Champion has some pretty conservative moral views about single mothers & when Bella makes an embarrassing discovery about the Home Secretary's past & gets a quote that will push everything else off the front page, she is triumphant. Denise is grudgingly complementary & Bella's career prospects are looking up. Unfortunately the scoop unravels due to an unfortunate chocolate incident & the Home Office denies everything. Bella is sacked & suddenly she becomes the story. Forced to hide out while her former colleagues stake out her home, she has to reassess her future. Tom Renfrew is a political journalist & has been offered the position of Europe Correspondent, based in Brussels. Less than enthusiastic about the move at first, once Bella realises that Belgium is the home of chocolate & that she has no hope of getting another job in London, her mood rapidly changes. Tom is amazed by her backflip but accepts the inevitable & the family move to Belgium. Bella & the children love Brussels. Making friends among the ex-pat community, Bella also explores everything Brussels has to offer the chocolate lover. Discovering a chocolatier, Clara's Chocolat Chaud, run by a grumpy woman who nevertheless makes the most divine chocolates, opens a new path for Bella. Unfortunately she also realizes that her marriage is heading for trouble. Tom is ten years older than Bella &, although he's charming & handsome, he could also flirt for England. Bella has never doubted his love for her but, as her confidence drops & her waist expands, she starts to wonder whether Tom's flirting has moved to another level. Suddenly he's never home, dashing from one meeting & conference to another & conveniently forgetting to mention his gorgeously slim, blonde assistant, Vanessa. Bella has also met Fabrice (in the queue of a local bakery where she buys almond croissants every morning, naturally) & her romantic daydreams about him cause her to question her marriage. It takes another crisis to reveal exactly what Bella & Tom want. Hot Chocolate is a lovely, warm, funny book. I don't believe anyone could eat as much chocolate as Bella & live to tell the tale but I admit to a few chocolate cravings while reading. Chocolate isn't the only food mentioned in the book though. There are many other scenes of delicious cooking & foodie delights. Bella is a warm character, loving her life as a mother but starting to have some doubts about the worth of her work as a journalist. Moving to Brussels is the beginning of a new life for Bella in more ways than one. I loved reading about Brussels too, a city I know very little about. The only other novel I can think of that I've read that was set in Brussels was Charlotte Brontё’s Villette. Discovering this book was another little bit of serendipity. When I reviewed John Barlow's thriller, Hope Road, I had a look at his blog & he'd just reviewed Hot Chocolate. I thought it sounded like a lovely read but was disappointed to find that it was only available for the Kindle & wasn't a physical book at all. I then discovered Alice's blog, Dulwich Divorcee, emailed her & asked if she could send me a copy for review. She wasn't able to send me an ePub copy but I read it in Word. 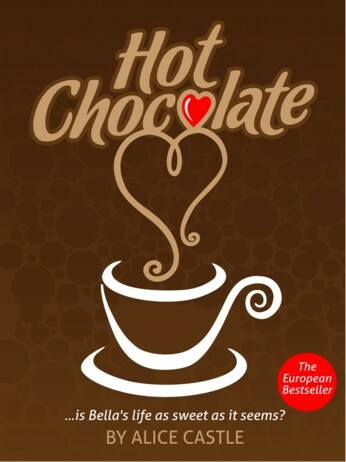 If you do have a Kindle, you can download Hot Chocolate at Amazon. 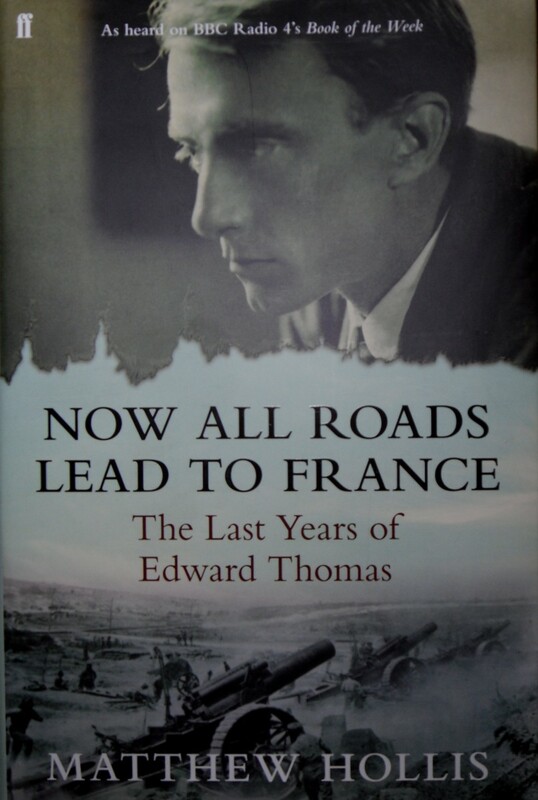 Matthew Hollis's award-winning book tells the story of the last four years of writer & poet Edward Thomas. I've always loved Thomas's poetry & I've read several books about his life including the memoirs of his wife, Helen, & the memoir written by Eleanor Farjeon about their friendship.This book is different because, although it also concentrates on those last four years of his life, as Farjeon's did, it's really about his evolution as a poet. It's also about his friendship with the American poet, Robert Frost, and the influence of that friendship on his writing. Thomas is not an easy man to like. Frequently withdrawn, taciturn & depressed, he was frustrated in his working life & very difficult to live with. The family always seemed to be just on the edge of poverty as Thomas worked as a freelance writer, picking up commissions to write books about literature & the English countryside, resenting the hack work all the time. He often took his frustrations out on his family & his moods could be frightening. More than once he threatened to commit suicide. His frustration was partly at his inability (as he saw it) to properly provide for his family & partly because his commissioned writing left him no time or energy to write anything else. Yet he was also a very attractive character, whose friends loved him. Helen adored him & her memoirs, collected as Under Storm's Wing, are very moving. Edward, however, grew to resent her need of him & the constant need to provide for the family. Eleanor Farjeon, the poet & children's writer, loved him & wrote movingly of their friendship in Edward Thomas : the Last Four Years. Perhaps the most important friendship of Thomas's life was with Robert Frost. Frost had brought his family to England from New Hampshire to see if he could make a name for himself as a poet. In the years before WWI, Harold Monro's Poetry Bookshop in London was the place for poets & poetry lovers to meet. Monro's anthologies, Georgian Poetry, were immensely influential & made the reputations of several poets. When Frost & Thomas finally met, they became friends & spent days walking through the countryside talking about everything & anything - their families, their work, the coming war. 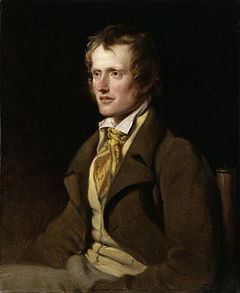 Frost encouraged Thomas as he began tentatively to write poetry. Once he started, the poetry poured out of him, sometimes he was writing a poem a day. His first poem had emerged in an unwieldy manner from his prose, but it was, in an important sense, better than his prose. The prose had done everything asked of it: polite, unshowy lines pitched at the level of a quietly spoken conversation; but the poem had that and more besides: it had cadence and it had drama. It was an extraordinary first effort, full of character and good phrasing; tonally, perhaps, it borrowed from his friend, Robert Frost, and by the standards of poetry it carried a prosaic bagginess that he would have to shake off; but in places it soared with an energy and confidence that showed glimpses of the promise to come. That first poem, Up in the Wind, has all the qualities of Thomas's verse. Quiet, conversational, alive with the details of country life. Thomas is called a war poet but more because he was killed in the war than for any other reason. None of his poetry is explicitly about the war in the way that Sassoon or Owen wrote about the war. The war is often there, in the background, as in my favourite of his poems, As the Team's Head-Brass. The war is there in the quiet conversation of the speaker & the ploughman but the scene is somewhere in England, not France or Flanders.The scene is a field not a trench. Thomas's most famous poem is probably Adlestrop. Hollis shows how the poem was written, from the notes he jotted down in June 1914 in the field notebooks he always carried with him, to the many attempts at that first verse, changing words until he found the right ones. It was as if all the prose Thomas had written over so many years had all been leading him to the point where he could write poetry. Often it was one of his articles or notebooks that suggested a poem or reminded him of an incident or conversation that he could turn into verse. When the war broke out, Thomas initially had no thought of joining up. Robert Frost had taken his family back to New Hampshire, along with Thomas's son, Mervyn. The rest of the Thomas family or at least Edward himself, had plans to follow them. Thomas was in his mid 30s and there was no conscription to force him into the Army. Gradually, however, he came to feel that it was his duty to join up. He grew uncomfortable with the thought that other men were fighting for the country he loved so much. There was also a more pressing financial incentive. Freelance literary work had almost completely dried up & if he was in the Army, Helen & the children were guaranteed an income, especially if he served overseas. Thomas joined the Artists Rifles & eventually became an officer in an artillery regiment. I hadn't realised that he was in camp at Hare Hall at the same time as Wilfred Owen. Hollis speculates that Owen was probably trained in map reading by Thomas but, as Owen hadn't been part of the poetry scene in London before the war, he didn't know of Thomas's reputation as a writer & critic. Thomas had not had any of his poems published &, when he did send them out to magazines, he used the pseudonym Edward Eastaway. Hollis wonders what the effect would have been on Owen's development as a poet if he had come under Thomas's influence at this point rather than the influence of Siegfried Sassoon whom he met at Craiglockhart Hospital in 1917. Thomas could have stayed in England with a staff job but volunteered for service in France where he was killed at Arras on Easter Monday, April 9th 1917. He didn't see his poetry in print but a volume was published soon after his death & his reputation has grown ever since. Now All Roads Lead To France is a fascinating look at the evolution of a poet. It's interesting to speculate about Thomas's future if he'd survived the war. I don't think he would have been defined by his war service & his war poetry as Sassoon was. His subject matter was much broader. I wonder if he would have been a happier, more contented man if he had returned from France to continue writing poetry & maybe visit America & farm with Frost as they had once dreamt of doing. It's another of the great What Ifs of literature. I'm on holidays for the next two weeks & I'm looking forward to some pottering, a little gardening, some organisation of recipes & photos, a little walking & lots of reading. I finally joined Library Thing last week & I'm addicted. I've known about LT for ages but didn't think I had time to start cataloguing my books when I should be reading, reading about books, reading blogs about books & blogging about books! I've taken the plunge because I have this fortnight off & I'd like to get my tbr shelves on LT so I have an idea of what's there. Also, handling all the books may prompt me to read a few of them. So far I have all my Persephones & about 350 other books on there & I haven't even scratched the surface. I also know I won't be able to stop until all my books are on LT. I'd like to know exactly how many books I have. I also have several books sent to me for review that I'm very much looking forward to. 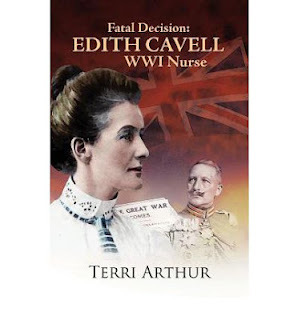 One of them is a novel about Edith Cavell called Fatal Decision by Terri Arthur. Terri contacted me after reading my review of Diana Souhami's biography of Cavell & has kindly sent me an ePub copy for review. 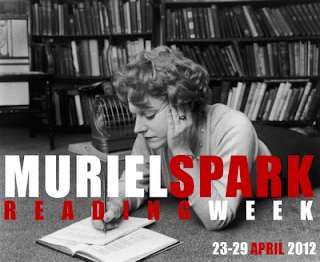 I'll also be reading some Muriel Spark in anticipation of Muriel Spark Reading Week which is coming up in just a fortnight. I've chosen her book on Emily Brontё. I read it many years ago but I'll be interested to see what Spark has to say. I'm enjoying the autumn flowering of my roses after a disappointing display in the summer. I have a very large tree in the front garden & I didn't realise how much it would overshadow the rose garden. The tree has never been as lush & beautiful as it has this last year after all those years of drought & I'm afraid the rose garden didn't get enough light. 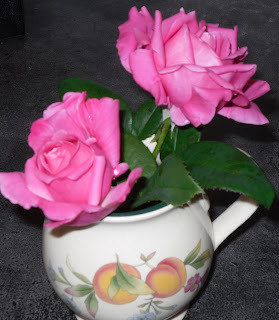 Now that the sun is lower in the sky & the tree is losing its leaves, the roses have had a growth spurt & all of them, including Abby's Best Friend rose are full of buds & blossoms. I'll have to have the tree pretty severely pruned in a few months to give the roses a better chance next summer. 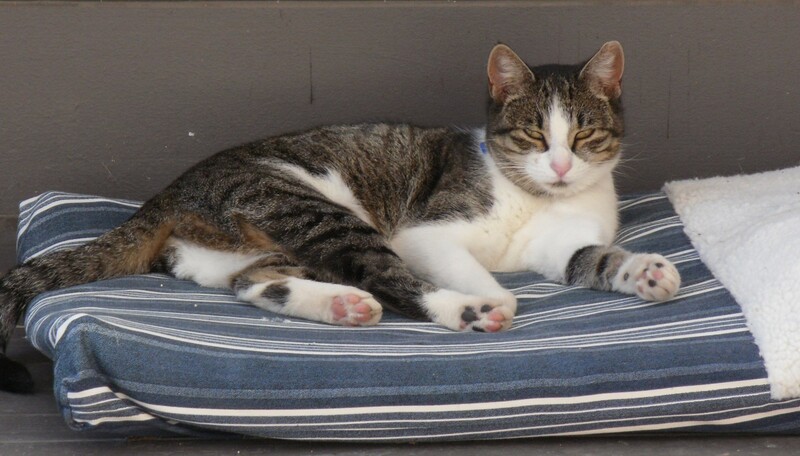 Remember the saga of the cat beds? Well, I bought Lucky a cat futon on Saturday, rubbed it on her blanket to get her scent (& cat hairs as you can see if you look closely) & waited to see what would happen. 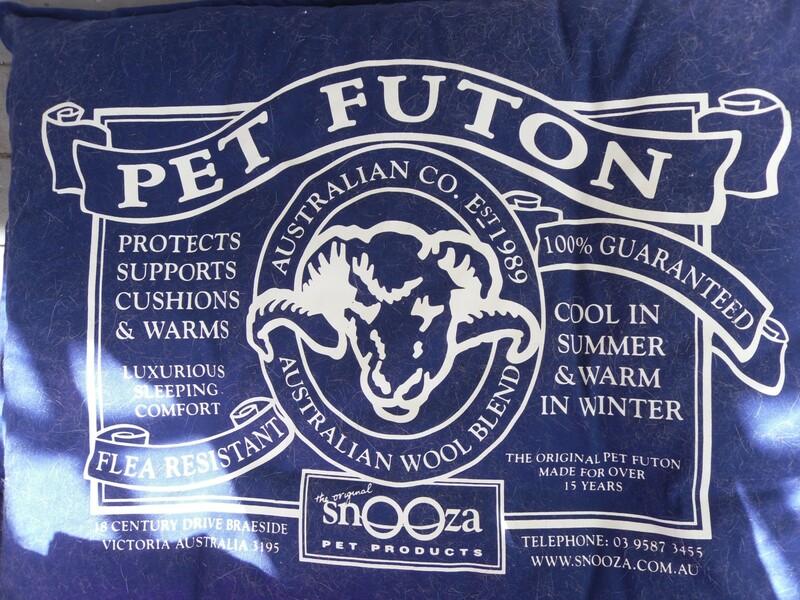 You can see how special this futon is. It does everything & it's environmentally friendly as well. I saw Lucky on the futon several times over the weekend but couldn't get a photo until this morning. 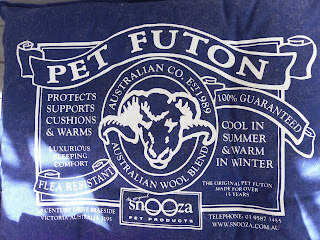 I was very happy until I saw Phoebe on the futon not long after! I just hope her scent doesn't put Lucky off & why didn't Lucky's scent put Phoebe off? I've never seen either of them resting or sleeping in a place where the other has been until now. How many beds does one cat need? The back porch could be littered with cat beds, futons, hammocks, chaise longues etc if this goes on much longer. I'll keep you posted on developments. Serendipity is a wonderful thing. 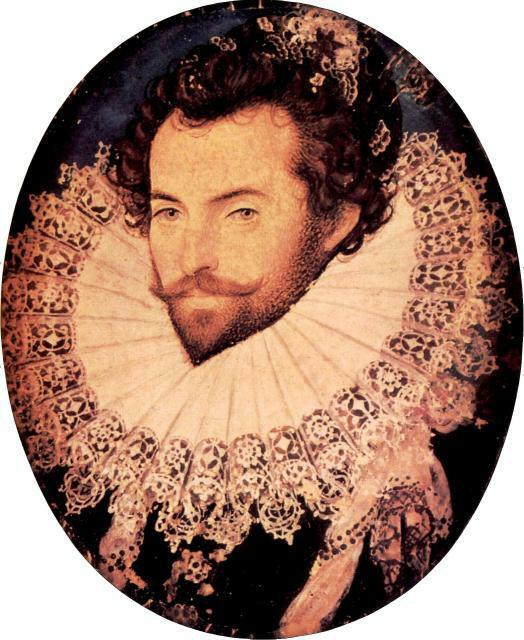 My last Sunday Poetry post featuring Sir Walter Raleigh back in January attracted a large number of hits & continues to do so. It's still at the top of my list of most popular posts. I have no idea why. Maybe students are studying Raleigh's life or poetry & were led here by their favourite search engine. So, I thought I would see what else by Raleigh was in my anthology & came across this poem called Walsingham. As I read it, I could hear the words being sung & as I traced the memory, I realised it was being sung by the distinctively rich bass voice of Joel Frederiksen. The song is on his CD with Ensemble Phoenix Munich called The Elfin Knight which is a collection of English & Scottish ballads & songs. Apart from the songs, the music of lutes, viola da gamba & percussion is very beautiful. In the notes, Frederiksen describes the research he has done to create his arrangements of these early songs, which I also find very interesting. Serendipity led me to the CD as well. I heard a song called Lord Darly on Classic FM one morning & I was fascinated because it was about the murder of Lord Darnley, second husband of Mary, Queen of Scots & it was sympathetic to Darnley who I've always thought was rather a dreadful young man. I loved the song but I wanted to read the words so I bought the CD & discovered many other gorgeous songs. You can listen to Lord Darly here. The only trouble with the CD is that the tunes are insidious, as ballads often are, & I often find I'm humming one of them for days afterwards. Even this morning, thinking about this post on my daily walk, I found myself walking in time to Whittingham Faire, a version of The Elfin Knight story, also known as Scarborough Fair. Listen to it here & see if you can get it out of your head! I can't find Joel Frederiksen's version of Walsingham on Youtube but here's the poem which may or may not be by Raleigh. Apparently scholars now disagree but it's attributed to him in my anthology & it's a good excuse to look at that beautiful Hilliard miniature again. In the earth or the air. 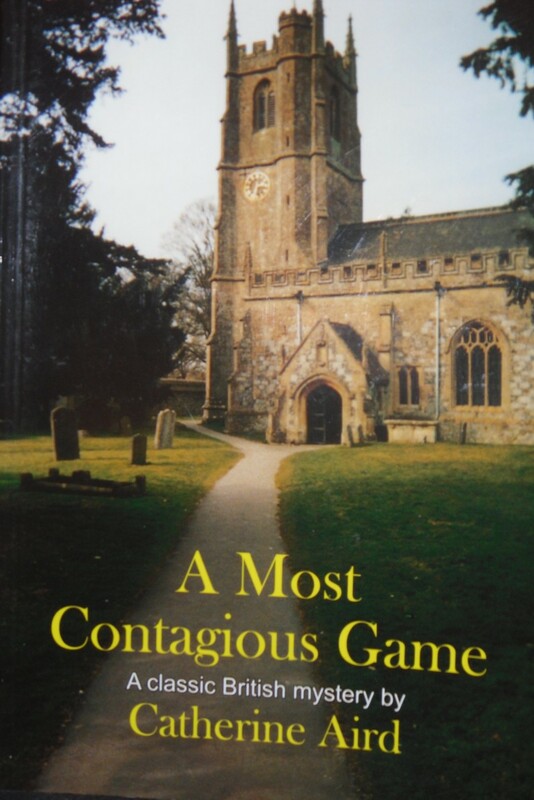 A Most Contagious Game was published in 1967, the second mystery novel published by Catherine Aird. It's the only one of her novels that doesn't feature Inspector Sloan of the Calleshire CID although it is set in Calleshire, Aird's fictional county town. It had never been reprinted until the wonderful Rue Morgue Press reprinted it in 2007. I love Rue Morgue. They've brought back into print many authors of the Golden Age & after. I have several of their books by Joanna Cannan (who wrote the Persephone title, Princes in the Land), Dorothy Bowers & Katharine Farrer. The Introductions to their books are also full of fascinating information about the author. Apparently the publishers met Catherine Aird at a mystery convention in Bristol &, in the course of conversation, decided to reprint A Most Contagious Game. They've gone on to reprint several of the Sloan mysteries which I remember with affection for their wit & sly humour as well as the English village settings. The story is a lovely homage to Josephine Tey's The Daughter of Time as well as being an absorbing mystery in its own right. Thomas Harding has been forced to retire because of ill health. He & his wife, Dora, move from London to the village of Easterbrook where they buy the local Elizabethan manor house. Thomas is restless, bored & irritated until the day he discovers a secret room in the house, a priest hole. Even more surprising is the skeleton inside the priest hole. The house was built by a family of Elizabethan Catholics so it's not surprising that the house had a secret room where Catholic priests could be hidden as they travelled around the country saying Mass. The family were forced to sell the house after they were prosecuted as recusants & the Barbary family moved in. The Barbarys owned the Manor for 300 years and, when the skeleton is found to have died about 150 years ago, & to have been murdered, Thomas wants to know who the victim was & who murdered him. Thomas discovers that the body is that of young Toby Barbary, the 15 year old son of Sir Tobias, who mysteriously disappeared just months before his father's gallant death at Waterloo in 1815. Toby had been hit on the back of the head but why & who could have put his body in the secret room? While Thomas is busy with his researches into history, Easterbrook is transfixed by another murder. Mary Fenny has been found strangled in her bed & her husband, Alan, has disappeared. The police seem quite sure that Alan is guilty but the villagers have very different ideas. Thomas's researches into the history of Easterbrook lead him to some clues about Mary Fenny's murder & he gradually gets to know the villagers & begins to feel less of a stranger. I loved this book. It's a wonderful combination of history, mystery & village life. I enjoyed the fact that Thomas's researches took place in libraries, churchyards & newspaper archives rather than on the internet. The characters are well-rounded, from the wise Vicar, Cyprian Martindale, to Charlie Ford, electrician & undertaker, to Gladys the household help. There's even a young American, Sir Thaddeus Barbary from Detroit, a nod to Tey's habit of introducing young Americans into her plots wherever she could. He even talks like Brent Carradine in Daughter of Time. Sir Thaddeus, or Tad as he's known, arrives in answer to Thomas's letter to him about when his ancestors left Easterbrook. There's always been a secret shame in the family & Tad, as the last survivor, is determined to find out why his ancestor left England & why his father told him the family was cursed & could never return. In the Introduction to this edition, Catherine Aird says that she never wrote another stand-alone novel because her publishers wanted more Sloans. What a pity. I believe that Aird was working on a biography of Josephine Tey at some point. Tey was a famously private woman so I imagine the research would be difficult, to say the least. If it's ever published, it would be a must-read for fans of both these fine mystery writers. Watching a movie or TV adaptation of one of my favourite books often sends me back to the source. This is true whether I think it's a good or bad adaptation. 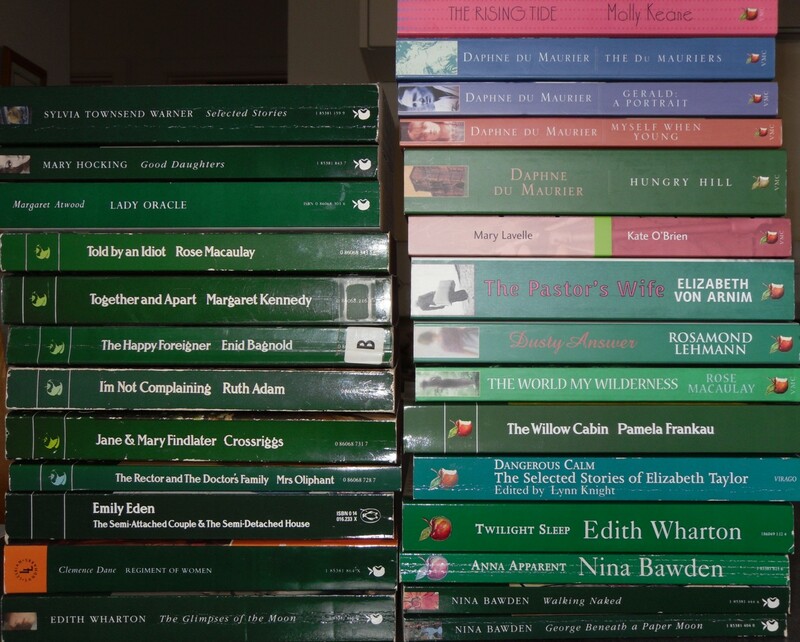 Sometimes I need to get the bad taste out of my mouth eg the latest versions of Persuasion & Wuthering Heights. I couldn't even get through the first episodes of those. Sometimes it's because I enjoyed the adaptation but want to remind myself of the details changed or left out & the dialogue not used. This is true of the latest movie version of Jane Eyre & watching an old TV version of Wuthering Heights. It's also true of the latest BBC version of Great Expectations. I watched all three episodes but it didn't really satisfy me. I thought Ray Winstone was excellent as Magwitch but the young man who played Pip was so ghostly pale & didn't convey any emotion whatsoever that I could see. The characterization of Joe didn't match the book. David Suchet's Jaggers was very good but nothing can surpass the wonderful performance of Francis L Sullivan in David Lean's film version of the book. So, the only thing for me to do was read the book again. This is my favourite Dickens novel. I think it's his masterpiece. It's almost the complete opposite to Martin Chuzzlewit, which I reviewed last week. Half the length & double the emotional impact. The story is well-known. Pip is a young boy living on the Kent marshes with his fearsome sister & her husband, Joe Gargery, a blacksmith. Pip's parents & other siblings are dead & the book opens with him sitting at their graveside on a cold, misty day. Pip's encounter with a convict, escaped from the prison hulks, is a frightening but mesmerising opening to the book. Soon after, Pip is summoned to Satis House, the home of the eccentric Miss Havisham. Miss Havisham was jilted on her wedding day & her life ended on that day. The clocks are stopped, she sits half-dressed in her wedding finery & her wedding breakfast moulders into dust. Pip is intrigued by Miss Havisham & smitten with her adopted daughter, Estella, a beautiful girl brought up to take her revenge on men. Pip's life at home is miserable. His sister is a horrible woman who beats him & Joe is his only friend even though he's powerless to protect him. Pip is destined to be apprenticed to Joe & become a blacksmith but already he is in love with Estella & beginning to be ashamed of his home & his ignorance. Pip's life changes when Mr Jaggers, a lawyer from London who he knows to be Miss Havisham's lawyer, appears with the announcement that Pip has great expectations. An anonymous benefactor wants to make a gentleman of him. To further this end, Joe is asked to release Pip from his apprenticeship & Pip sets off for London. He's sure that Miss Havisham is his benefactor & that she intends him to marry Estella. Pip works hard at his studies & lives with Herbert Pocket, a young relation of Miss Havisham's who becomes his greatest friend. 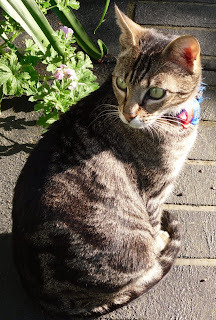 Pip's pride grows as he settles into London life. He falls into debt & forgets his home altogether. The revelation of his benefactor will change his life & it's the beginning of his journey from being a selfish, proud boy to becoming a poorer but wiser man. The unqualified truth is, that when I loved Estella with the love of a man, I loved her simply because I found her irresistible. Once for all; I knew to my sorrow, often and often, if not always, that I loved her against reason, against promise, against peace, against hope, against happiness, against all discouragement that could be. Once for all; I loved her none the less because I knew it, and it had no more influence in restraining me, than if I had devoutly believed her to be human perfection. It was wretched weather; stormy and wet, stormy and wet; and mud, mud, mud, deep in all the streets. Dat after day, a vast heavy veil had been driving over London from the East, and it drove still, as if in the East there were an Eternity of cloud and wind. So furious had been the gusts, that high buildings in town had had the lead stripped off their roofs; and in the country, trees had been torn up, and sails of windmills carried away; and gloomy accounts had come in from the coast, of shipwreck and death. For now, my repugnance to him had all melted away, and in the hunted wounded shackled creature who held my hand in his, I only saw a man who had meant to be my benefactor, and who had felt affectionately, gratefully and generously, towards me with great constancy through a series of years. I only saw in him a much better man than I had been to Joe. The ending of the book is ambivalent. It was famously changed by Dickens after Edward Bulwer-Lytton, his friend & fellow novelist, objected to the sombre tone. Although Dickens changed the ending, it is still melancholy, which suits the whole tone of the book. There's certainly less humour in Great Expectations than in any other Dickens novel (except maybe Hard Times) & maybe that's why it's now recognized as one of his greatest achievements. It will always be my favourite of his novels. 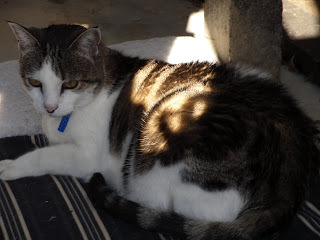 and here's Phoebe on the back porch. Then, I thought Lucky looked a little left out dozing on the bare boards so I bought another bed. I couldn't get one like Abby's so went for a very fetching purple, velvety bed. Lucky wasn't the least bit interested but guess who has decided that variety is the spice of life? Then again, where would Lucky rather be sleeping? That's right, on my lap. This lovely poem, called First Love, seems to exemplify the sadness & melancholy of John Clare's poetry for me. Clare (picture from here) was parted from his first love, Mary, but often harked back to this period of his life when he was confined in an asylum. And took my sight away. And love's appeal to know.